Joan Weinmayr, collector from Massachusetts, USA, has sent a funny picture from a real different “recreational vehicle“. 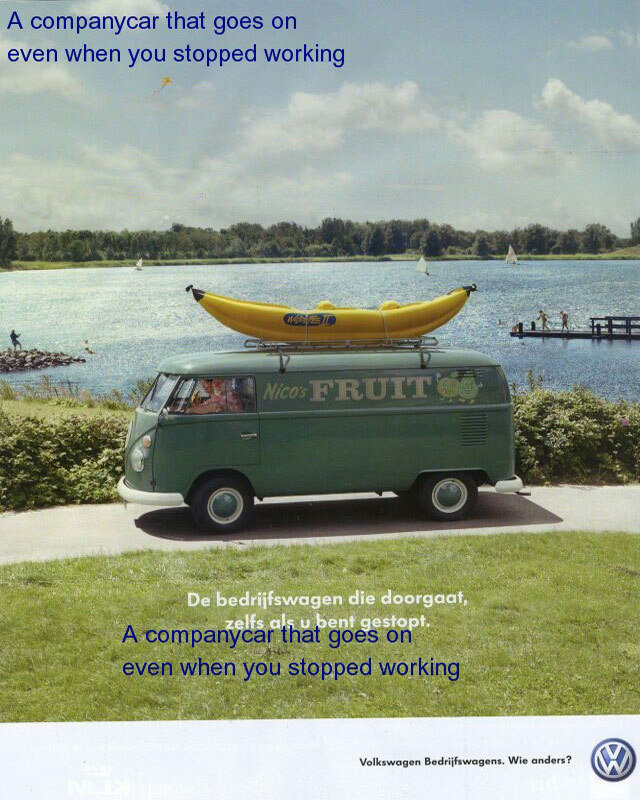 It seems that the guys from VW have more humor than we´ve supposed. Or was it Piet Ridderhof from the Netherlands? However, banana doesn´t mind. « Royal Sleep With Bananas!